What is the European Commission’s New Data Protection Framework proposal? The European Commission announced a proposed reform to The European Union’s Data Protection Framework On the 25th of January 2012. You can read the full press release here. Within the announcement The Commission stated that the current framework – known as the 19995 EU Data Protection Directive is outdated. The main reasons for the framework to be outdated are due to rapid technology change and globalisation. These points are important to consider when deciding upon the best option to securely destroy your sensitive paper data through a confidential paper shredding service. Whether the service will be an onsite paper shredding service or an on-demand offsite paper shredding service it is important to ensure that your paper shredding company is a Data processor. You can see the list of registered Irish data processing firms here. 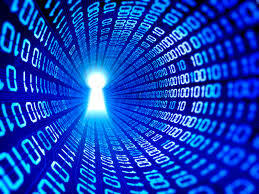 The new Data Protection framework will be a regulation which means all member states will have to abide by the rules. The rules will go into effect two years after they have been adopted by the member countries which is expected to be in 2018-2019. This entry was posted in 28th January 2015, Confidential Shredding, Data Destruction, Data Protection, Digital Data, Identity Theft, Off Site Shredding, Onsite Shredding, Paper Shredding and tagged Data Protection, document shredding, EU Data Protection, limerick paper shredding, Onsite paper shredding service, paper Shredding, paper shredding service by Security in Shredding. Bookmark the permalink.